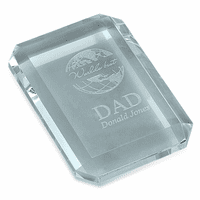 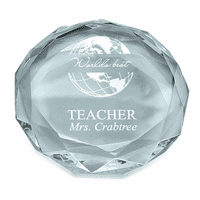 Dad will be proud to display this solid crystal business card holder/paperweight on his desk at work, or in his home office! It measures 4" x 5", has a gleaming beveled edge on all sides, and holds up to 15 business cards. 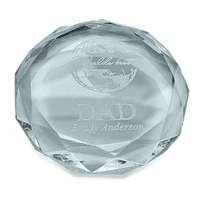 He will want everyone to see the laser-engraved caption, which features our World's Best Dad design, with his name laser-engraved below, available at no extra charge. 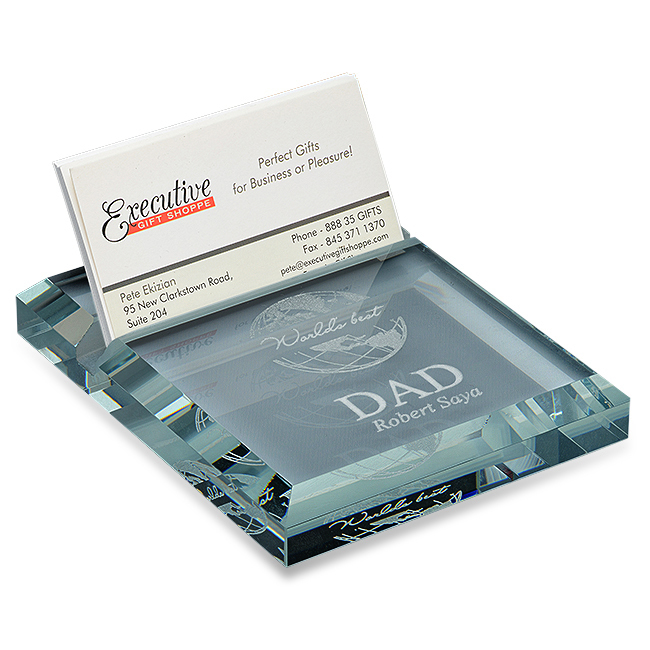 This card holder comes packaged in a gift box, ready to surprise the World's Best Dad!